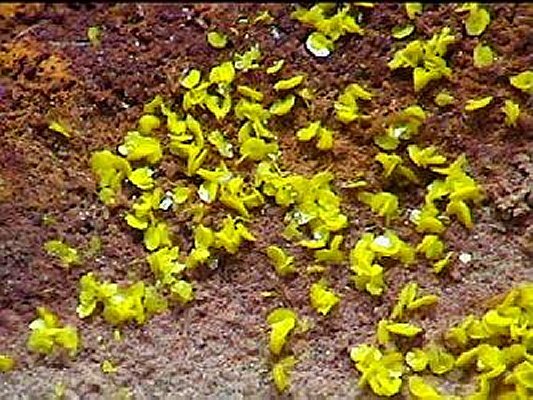 Comments: Yellow tyuyamunite crystals 1 mm in size. Location: Marie Mine, Carbon Co., Montana. USA. Scale: picture size 2 cm..